Citroen XM 2.5 Peugeot 605 Diesel Fuel Injection Pump. 1 x Used injection pump removed from a running XM 2.5 Estate. Pump part number 0 460 404 993. PEUGEOT 308 1.6 Fuel Pump In tank 2007 on Bosch. CITROËN C4 Coupe (LA_) 1.4 16V Coupe Petrol 11/2004 07/2011 FWD 16 88 65. CITROËN C4 Coupe (LA_) 1.6 16V Coupe Petrol 11/2004 07/2011 FWD 16 109 80. PEUGEOT 1525NS. PEUGEOT 1920KY, 1920PH. Fuel Type Diesel. PEUGEOT 607 (9D, 9U) 2.2 HDi Saloon Diesel 05/2006 06/2010 FWD 16 170 125. ; Model year from: 09/2007; Model year to: 01/2013; Fuel Mixture Formation: Common Rail (CR). Part number :0460484132 Please match your part numbers to ensure this part is correct for your vehicle. This pump requires the immobilised stop solenoid removing and and replacing before it will work on your vehcile. The metal shroud around it will need to be removed so you can use your own solenoid or a standard type that just requires a live feed. This part is guaranteed for 90 days. PEUGEOT 206 1.4 Fuel Pump In tank 1998 on Bosch 1525Y1. PEUGEOT 1525Y1. PEUGEOT 206 Hatchback (2A/C) 1.1 Hatchback Petrol 08/1998 07/2000 FWD 8 54 40. PEUGEOT 206 Hatchback (2A/C) 1.1 i Hatchback Petrol 09/1998 on FWD 8 60 44. PART NUMBER 0445010010. IF THERE ARE PART NUMBERS IN THE ADVERT, THEY'RE THERE FOR A REASON. THIS MUST BE CHECKED PHYSICALLY AGAINST THE PART YOU ARE REPLACING. IF IT DOES NOT MATCH THEN IT IS MORE THAN LIKELY WILL NOT WORK ON YOUR CAR. PEUGEOT CITROEN FIAT - BOSCH DIESEL PUMP 0445010046. FITS MOST DIESEL MODELS FROM 2002 - 2009. PART NUMBER. Primary Part Number Manufacturer's Applicable Part Numbers Vehicle Manufacturer's Alternative Part Numbers. For 2.5 TDI. Peugeot Boxer. The kit may vary in colour and may include different parts than in the image provided. VE Fuel Pump Repair Kit. PEUGEOT BOXER 230P 2.8D Fuel Pump In tank 00 to 02 Bosch. PEUGEOT BOXER Bus (230P) 2.8 HDi All-wheel Drive Bus Diesel 10/2000 11/2001 AWD 8 126 93. PEUGEOT BOXER Bus (230P) 2.8 HDI Bus Diesel 11/2000 04/2002 FWD 8 128 94. RECONDITIONED DENSO DIESEL INJECTOR, FITS TOYOTA HILUX. CROSS REFERENCE PART NUMBERS. AB30-38, AB44-56, FK17-99, G83, IV1-28, IV30-39, IV52-54, IV63, KW1-14, PA21-40, PH15-26, PH30-41, PH49-50. PEUGEOT 1920KY, 1920PH. Fuel Type Diesel. Function High Pressure Pump. PEUGEOT 508 I (8D_) 2.2 HDi Saloon Diesel 11/2010 on FWD 16 204 150. PEUGEOT 508 SW I (8E_) 2.2 HDi Estate Diesel 11/2010 on FWD 16 204 150. JUMPY 1.9 D DW8 1.9 TD. SCUDO 1.9 D DW8 1.9 TD. EXPERT 1.9 D DW8 1.9 TD. 307 1.4 HDI 1.6 HDI 2.0 HDI. Fuel Pump In Tank Sender Unit. 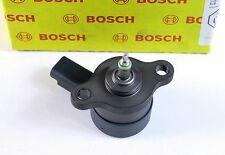 High Quality New Genuine BOSCH Part with Two Year Warranty. Part Number . PEUGEOT 607 (9D, 9U) 2.0 HDI Saloon Diesel 05/2000 09/2005 FWD 8 109 80. PEUGEOT 607 (9D, 9U) 2.2 HDi Saloon Diesel 02/2000 02/2006 FWD 16 133 98. Function Fuel Feed Unit. PEUGEOT PARTNER ORIGIN Van (5) 2.0 HDi Box Diesel 04/2000 07/2008 FWD 8 90 66. GENUINE PEUGEOT PARTS. You are buying . 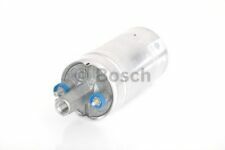 PEUGEOT 3008 0U 1.6 Fuel Pump In tank 09 to 16 Bosch 1525NQ. PEUGEOT 1525NQ. PEUGEOT 3008 MPV (0U_) 1.6 VTi MPV Petrol 06/2009 on FWD 16 120 88. PEUGEOT 308 (4A_, 4C_) 1.4 16V Hatchback Petrol 09/2007 on FWD 16 95 70. CITROËN 152546. CITROEN/PEUGEOT 152546. PEUGEOT 152546. 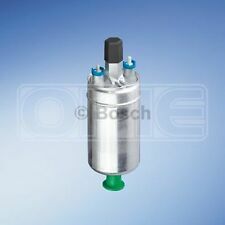 1X FUEL PUMP SENDER UNIT GENUINE BOSCH. INFORMATION AND REFERENCES. CHECK YOUR ORIGINAL PART AND COMPARE THE NUMBERS. PEUGEOT 1920AL, 96276639. Fuel Type Diesel. Fuel Mixture Formation: Common Rail (CR). Model year to: 09/2005; Fuel Mixture Formation: Common Rail (CR). Function High Pressure Pump. PEUGEOT EXPERT (224_) 2.0 HDI 16V MPV Diesel 07/2000 12/2006 FWD 16 109 80. PEUGEOT 1920KY, 1920PH. PEUGEOT 407 SW (6E_) 2.2 HDi Estate Diesel 06/2008 on FWD 16 163 120. PEUGEOT 407 SW (6E_) 2.2 HDi 170 Estate Diesel 05/2006 on FWD 16 170 125. Fuel Type Diesel. BOSCH 0 445 010 139. PEUGEOT 1920AZ. CITROËN RELAY Box (244) 2.8 HDi Box Diesel 04/2002 on FWD 8 128 94. Fuel Type Diesel. PEUGEOT BOXER Bus (244, Z_) 2.8 HDi Bus Diesel 04/2002 on FWD 8 128 94. PEUGEOT BOXER Bus (244, Z_) 2.8 HDi 4x4 Bus Diesel 04/2002 on AWD 8 128 94. Peugeot, Citroen and Ford 1.4 hdi diesel engine. INJECTION PUMP. You will need to ensure your part number matches the one above or this will not work on your vehicle. 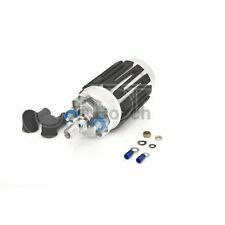 PEUGEOT 308 1.6 HDI 2008-2011 FUEL PUMP 9683703780. Condition is Used. Dispatched with Royal Mail 1st Class. Model: 607 2.2 HDI. Make: PEUGEOT. Item: FUEL PUMP. PEUGEOT 406 2.0D Fuel Pump In tank 99 to 00 Bosch 1525Z3. CITROËN 1525Z3. PEUGEOT 1525Z3. PEUGEOT 406 (8B) 2.0 HDI 110 Saloon Diesel 06/1998 08/2001 FWD 8 109 80. PEUGEOT 406 (8B) 2.0 HDI 90 Saloon Diesel 02/1999 05/2004 FWD 8 90 66. PART NO. 0445010102. SIZE: 1.6 HDI. PEUGEOT / CITROEN / FORD. 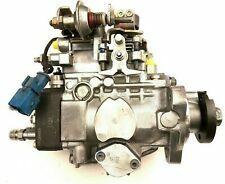 TYPE: DIESEL FUEL INJECTION PUMP. MANUFACTURER: BOSCH. PEUGEOT 1525. 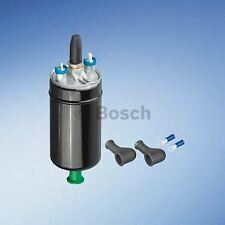 1X FUEL PUMP ELECTRIC SENDER UNIT GENUINE BOSCH. OE Numbers GUIDE AND IS DEPENDENT ON THE MANUFACTURER'S. INFORMATION AND REFERENCES. TO MAKE SURE THIS PART. CHECK YOUR ORIGINAL PART AND COMPARE THE NUMBERS. PEUGEOT 207 1.6 Fuel Pump In tank 2006 on Bosch. PEUGEOT 207 (WA_, WC_) 1.4 Hatchback Petrol 08/2008 on FWD 8 75 55. CITROËN C3 Picasso 1.4 VTi 95 MPV Petrol 02/2009 on FWD 16 95 70. PEUGEOT 207 (WA_, WC_) 1.4 Hatchback Petrol 02/2006 on FWD 8 72 53.